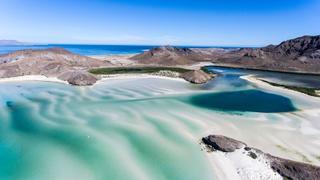 Balandra beach, Baja California. Picture courtesy of Shutterstock.com / Leonardo Gonzalez. Isla Espíritu Santo, Baja California. Picture courtesy of Shutterstock.com / niall dunne. 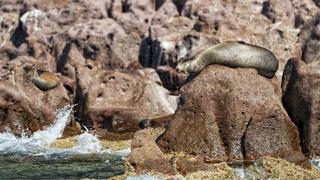 Los Islotes, a sea lion retreat. Picture courtesy of Shutterstock.com / Andrea Izzotti. 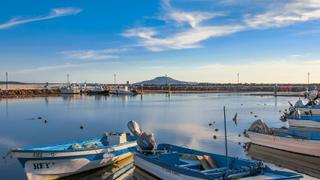 The port of Loreto, Baja California. Picture courtesy of Shutterstock.com / Benny Marty. A beach on Isla Monserrate. Picture courtesy of Facebook.com / World of Wildlife Travel. Chasing Daylight and her energetic crew will be ready with glasses of bubbly for you, moored just 20 minutes drive away from the Manuel Márquez de León International Airport, where Captain Dane will meet you. After a Champagne toast you will be whisked away to spend the afternoon in Balandra Cove, the perfect spot for watching the sunset from the 10.6 metre Everglades tender while listening to the calm waters lap against the boat. 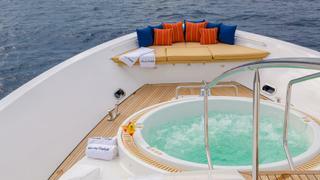 A day of exploration awaits after a sumptuous breakfast on the flybridge. Marvel at the mountainous coastlines as you head to Bahia San Gabriel on the southern point of Espíritu Santo. Dive or snorkel amid the otherworldly marine life, keeping an eye out for manta rays, sea lions and whales in the winter season. Don’t miss the ‘Million Dollar Point’ dive site, which is littered with relics from World War II. Save some time to go exploring around the area’s many coves atop Chasing Daylight’s Waverunners before soaking up the sun on the pristine white sand beach. For more active members of your party, there are some amazing peaks that are well worth the hike – pick a trail and enjoy the view with canapés and cocktails. 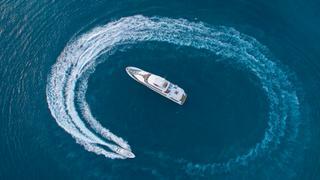 Spend the evening back on board, watching fish swim beneath the yacht’s underwater lights and tucking into an al fresco supper on the main deck aft. By morning you will have arrived in the Ensenada Grande anchorage, where you can enjoy breakfast on board with frolicking sea lions to entertain you in the surrounding waters. Spend the morning diving over stunning corals and plants, keeping an eye out for giant manta rays and hammerhead sharks. In the afternoon, head out on the tender in search of sea lions on Los Islotes, before jetting to the eastern side if Isla Partida to find the perfect beach spot. Leap off the cliffs into cerulean water, go snorkelling or carefully seek out sea turtle nests, which can be found on one of the island’s beaches. Anchored off ‘the hook’, guests can spend the day relaxing on board in the sunshine, surrounded by nature. If sunbathing and reading isn’t for you, head out on the paddleboard or try out fishing on the nearby reef for group and snapper for supper. Alternatively, have the crew set up Chasing Daylight’s myriad water toys and race across the water. In the afternoon, visit the small Isla Coyote to enjoy an aperitif with the friendly local fishermen. Wake the following day and enjoy breakfast with a view as you cruise through the Loreto Triangle, on route to Isla Carmen. One of the busier towns in brilliant Baja California, it was once famous for salt mining and features a mile-long salt pond. 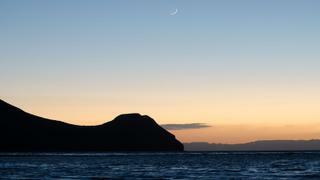 Zip across the channel on board the tender to the villages of Loreto Bay, an idyllic spot for buying gifts from locals. Head into Loreto city itself for a trip to a day spa or a round of golf. Spend your sixth day relaxing in the quiet paradise of Isla Monserrate, which boasts clear waters and plenty of privacy. Divers will find plenty of spots to explore and might even be lucky enough to come across a whale shark or a grey whale. Tuck into a barbecue lunch up on the flybridge and, if you’ve spent the morning out fishing, enjoy your catch of the day. Unwind in the afternoon with a book and a cocktail, or take the kayak out for a mosey around this peaceful spot. As the sun sets raise a glass with your nearest and dearest, sitting out in the warm Mexico breeze before stargazing late into the night, without any other lights for miles around to interrupt the view. 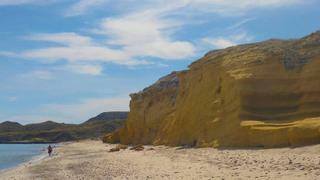 Partida Cove boasts a number of secret spots that can only be found while exploring atop Waverunners, paddleboards or kayaks. Spend the day playing beach games on Isla Partida’s sandbar pass, stopping for a beach picnic on the golden sand shore. Polish off the final day of your winter sun charter with a sumptuous feast under a star-pricked sky, before enjoying a glass of Champagne in the on-board Jacuzzi. 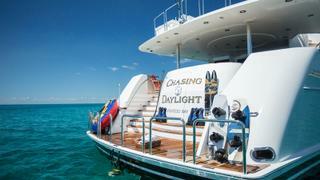 Indulge in a leisurely breakfast as Chasing Daylight takes you back to La Paz, where you can relax on your final day in a beachfront cantina with a refreshing margarita after disembarking and saying goodbye to the yacht and her crew. 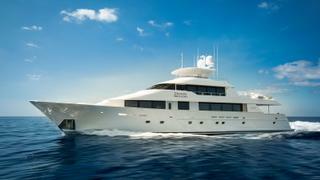 Chasing Daylight is managed for charter by Y.CO and has a weekly charter rate starting from $95,000.